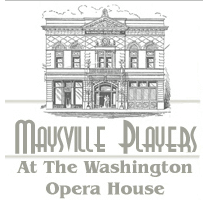 Maysville-Mason County Arts Commission is a jointly appointed commission, which organizes and funds arts education and programs under the auspices of the City of Maysville and Mason County Fiscal Court. The Arts Commission meets quarterly – March, June, September, December – on the first Friday at 8:30 a.m. at Maysville Community and Technical College. Contact Gwyn Gallenstein for more information at 606-759-7141 or gwyn.gallenstein@kctcs.edu.